Work like a professional as this latest edition of Microsoft Office 2016 Professional for PC now has more features and tools that you can think of it as your office extension. You can even share files online in order to access them when you’re on the go. 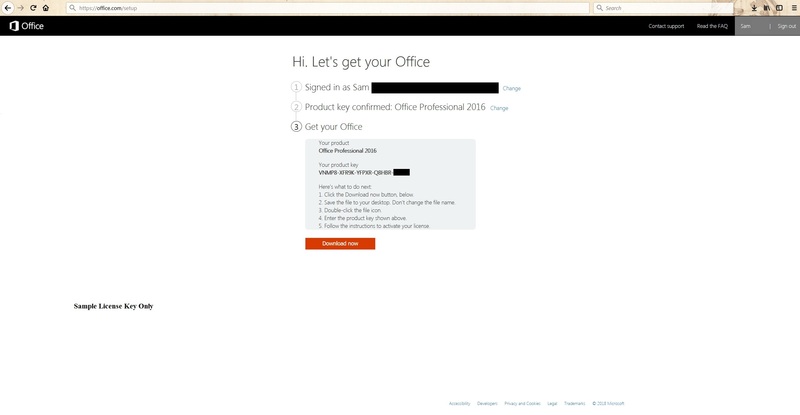 Specifically, here’s what you get with Office 2016 Professional: A whole range of Office Suite that includes: Word, Excel, PowerPoint, Publisher, Access, Outlook, & OneNote. · Word – you can collaborate with others in real time by inviting others to access your Word documents with new Share buttons. 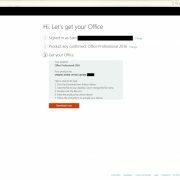 Invited users can edit files on the web even if they do not have an Office 365 subscription and lets you know who contributed to the changes made with your shared documents. You can even take a PDF document and edit it in Word. · Excel – MS Office 2016 Professional now has additional chart designs and visualisation styles or options like waterfall matrices or charts to help you track changes of values over time and period, sunburst chart to help you illustrate layered information or data, and whisker plots so you can tackle statistical variations clearly. 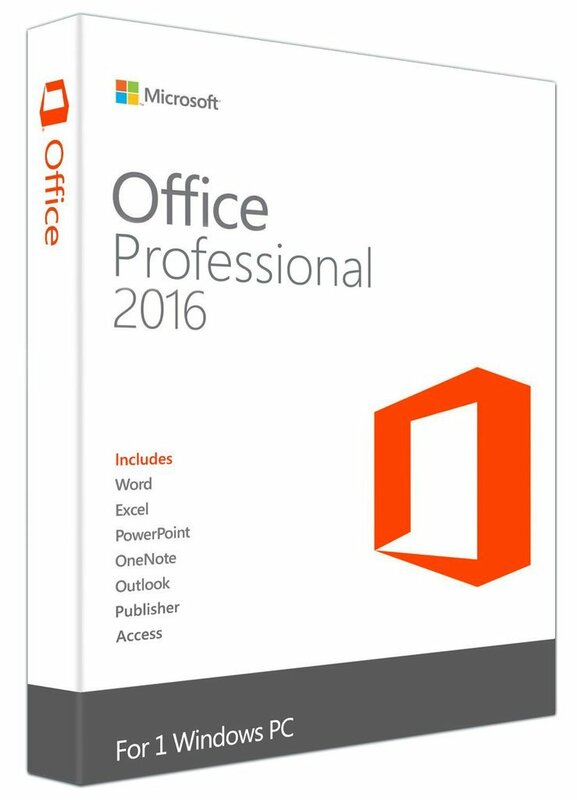 · Other Office Professional 2016 enhancement includes real time co-authoring for PowerPoint, Publisher is still as functional as it was before, and Access is continuously improved to make it relevant always. – With Microsoft Access, you can make a list and summarise information and data from a query or table. – The online photo printing feature of Microsoft Publisher 2016 lets save time in making a hard copy of images that you gather. · OneNote’s amazing function and feature is that you can now embed Excel files, diagrams, audio or video files, and other types of office files. In addition, your organised notes can be save and accessed online and synchronised to other devices. · With Outlook 2016, you can share files to your OneDrive files as you share and send them to other users. · Create ideas with the help of a keyboard, mouse, pen, and touch through the Tell Me feature, that has been introduced with the latest software and programs such as Microsoft Office Professional 2016 download. With this option, you can type what you want help with and the feature will provide you instructions on how the task can be completed. · With more themes available when you download Microsoft Office 2016 Professional, you now have better options to choose from to suit your mood. Why not try use a template from the Start screen, then let it choose set up and design for you while you gather ideas, data, and other forms of content? · Bing powered Insight feature for access to relevant information all over the web. · Processor requirements – at least 1 GHz or faster x 86 or x64 bit processor packed with SSE2. · Operating System requirement – Windows 7 Windows 8, 8.1, 8.1 Pro, Windows 10 Home or Pro, Windows Server 2008 with R2, or Windows Server 2012. · RAM requirements – minimum of 1GB for 32bit and 2 GB for 64 bit. · HDD – at least 3 GB free space on your hard disk. This item does not contain a disc; it is a digital download only. See steps involved below. Great product and a great pricing. Checked the licenses we bought with microsoft support and confirmed they were all genuine retail. Which is a bargain considering what one of these normally go for. Will be back for more! Great support from Roger. I had a few problems with the download (all mine) and Roger got me through it. Great when you deal with a company the is so professional. I’m a reseller and computer wholesaler, Roger and his team were so professional I dropped both my regular suppliers for them, not only were they cheaper, the product was exactly what they said it was, it installed easily, and 6 months later when my client had a problem, and lost her Key, Roger’s team sorted it out immediately, no fuss, you can’t ask for more than that, nice guys and ready to help, keep up the good work guys, and Thanks so much. Received my product key and installed and activated on the Microsoft website in less then half an hour. That was quick. Thanks again guys! Excellent service! Was just given a free upgrade to Office Professional.. Very happy 🙂 . After sales support is brilliant and always available at any time. Will come back and buy for my family also. I was wary of buying from a non-paypal site as paypal offers arguably the best buyer protection in the world from 3rd party infringements. However Samuel assured me that the checkout system is run by Comodo and is SSL. I purchased. Got my download, license and all necessary instructions that came with it. Weeks later no problem. Will buy from them again. After a few bad experiences purchasing from foreign websites I decided to give Digitalsoftwareplanet and I was not disappointed. Received my product key in 10 minutes and activated online like a breeze. Outstanding service and I surely will be back again. Quick service & easy to follow instructions. Installed & activated without any issues. Well done guys keep up the good work. Awesome! Will be back for more.